The term “global marketplace” has never been more descriptive-particularly when it comes to real estate. There are numerous reasons why many of our clients invest in property overseas, including asset protection, portfolio diversification, retirement planning, privacy, and tax savings. Real estate is not only a very stable investment in many foreign countries, it is also harder for U.S. creditors to attach than domestic property. If you own real estate abroad, the tax forms and reporting requirements are dependent on your operation of the property and any foreign entities that may be used to hold title of the property. If you own the foreign real estate directly as an individual, the U.S. income tax rules with respect to that property are almost the same as if the property were located in the USA. On your U.S. tax return you would depreciate the property and follow the same rules with respect to income and expenses as you would on property in the United States. Foreign property taxes are deductible, as are travel costs connected with managing investment properties overseas. You can also exclude up to $250,000 ($500,000 if married) in capital gains if you sell an overseas property that served as your primary residence for at least two out of the last five years. If your foreign real estate is a rental property, the rental income and expenses must be reported on your Form 1040 using schedule E. In this case, your foreign rental property is basically treated the same way as domestic property, except that depreciation must be made over 40 years instead of the usual 271/2. There are, however, special rules regarding the reporting of rental income from overseas real estate. You don’t have to report rental income if your property was rented out for less than 14 days during the year, or if it was used for personal reasons for more than 14 days or 10% of the days it was rented out. You can deduct mortgage interest, property taxes, and travel costs, but there is no deduction for rental expenses and losses. 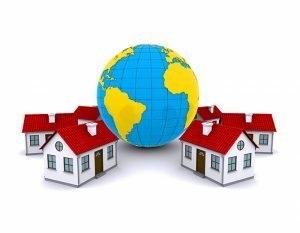 Generally speaking, if you own real estate outside of the U.S., you’re more than likely to have one or more bank accounts in that country whether to pay expenses or possibly collect rent. This must be disclosed on Form 1040, Schedule B. If the foreign bank account(s) contains $10,000 or more on any given day of the calendar year you will need to file an FBAR (Form 114 Report of Foreign Bank Accounts) with the Financial Crimes Enforcement Network [FINCEN] annually before July 1. Failure to do so risks penalties beginning at $10,000 and potential criminal indictment. If the property is held by a foreign corporation with 10% or more U.S. ownership, a foreign partnership or LLC, or a foreign trust or estate you will need to report that ownership on one of a number of IRS forms including Form 5471 (ownership inside a foreign corporation), and Form 8938 – Statement of Specified Foreign Financial Assets. These new filling requirements are a result of FATCA laws, with penalties beginning at $10,000 per incident. It’s important to note the reporting thresholds for FORM 8938. If your total foreign assets do not exceed those limits, you may not need to file for that year. In short, your individual circumstances will determine which reporting requirements and tax forms may be required. 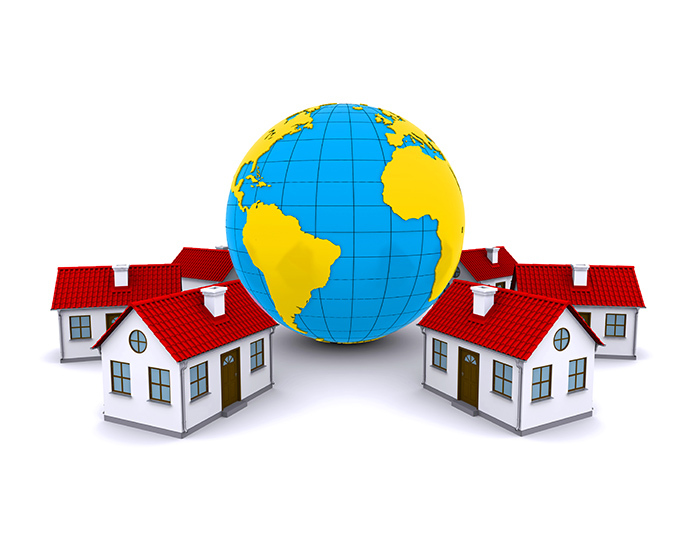 Ownership in foreign real estate can be an important component of your overall investment strategy. If you already own property abroad or you are planning to invest in overseas property, it is imperative that you understand how the laws and regulations in other countries affect your U.S. taxes. As these rules and regulations are subject to change it’s best to consult with your CPA to discuss your specific situation.